Republicans in Wisconsin aren't happy that Gov. Scott Walker (R) was ousted by a slim margin during the midterm elections. Now, they're doing everything in their power to limit the damage incoming Gov. Tony Evers can do. The Republican-led legislature on Wednesday passed numerous bills that would limit Evers' role in various areas, including his influence over the Wisconsin Economic Development Corp., which was instrumental in bringing Apple supplier Foxconn to the state. The legislature also made it difficult for the governor to administer state benefits and implement state laws, the Wall Street Journal reported. They also voted to curb early voting to two weeks before the election. A special session was called to get the bills passed before January when Evers takes office. The bills are currently waiting for Gov. Walker to sign them into law, which is expected since he was a supporter. Some have questioned the GOP lawmakers' decision, specifically about early voting. "I don’t know why in a democracy we would want fewer people to vote," said Democrat Scott McDonell, the legislative chairman of the Wisconsin County Clerks Association, a bipartisan group. McDonell said a federal judge may have to decide the early voting bill. A judge in 2016 decided a similar law was unconstitutional because it suppressed minorities. According to Rep. Robin Vos, the speaker of the State Assembly, the move was done to make the balance of power equal amongst all branches of state government. 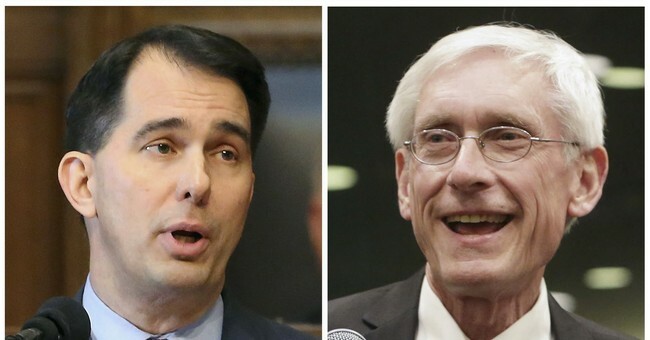 Evers said he would make a personal appeal to Walker to veto the legislation, the Associated Press reported. If Walkers does decide to sign the bills into law, Evers said he would look into litigation to prevent them from beign implemented. "Wisconsin has never seen anything like this," Evers said in a statement, the Sacramento Bee reported.. "Power-hungry politicians rushed through sweeping changes to our laws to expand their own power and override the will of the people of Wisconsin who asked for change on November 6th." The bill passed in the Senate 17-16, with just one Republican voting against it. It then passed in the Assembly with a vote of 56-27, with one Republican as a "no" vote. Walker has 10 days to sign the bill.